Seducer, spy, and ruthless assassin, Theodore Paleologus claimed to be heir to the emperors of Byzantium and was intimately involved with great courtiers and notorious villains of Elizabethan England. In light of new evidence exposing him as a hardened mercenary in the pay of the Earl of Lincoln (and actually supports his long-disputed imperial pretensions), the author of That Bloody Woman: The Turbulent Life of Emily Hobhouse here gives us the first full biography of Paleologus. John Hall traces his extraordinary life and those of his sons, from contract killings throughout Europe to fighting each other in the English Civil War, from buccaneering in the Caribbean to pioneering the slave trade. 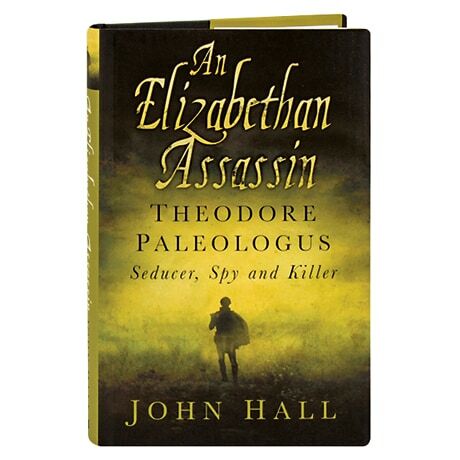 Hall also contrasts Paleologus's true story with his parallel literary lives in literature, which variously link Theodore Paleologus to the bloodline of Christ, the biblical End of Days, and a claim to the throne of England, separating fact from fable in the patchy history of this legendary but elusive villain.